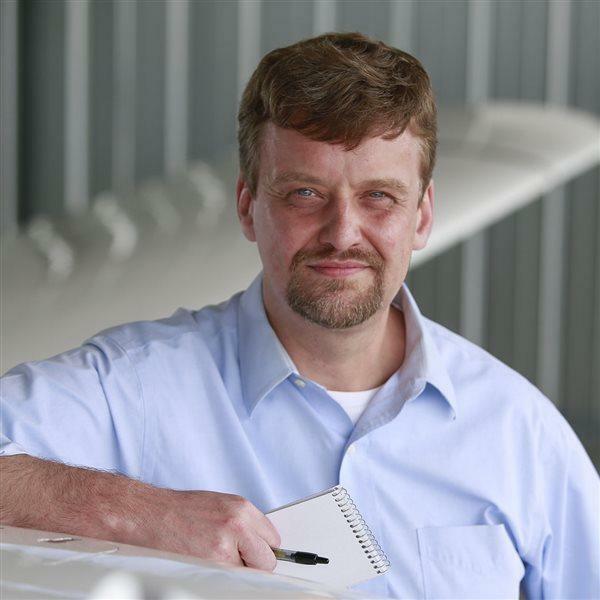 Doug May, named Textron Aviation's new vice president of piston aircraft on April 3, said logging more than 5,500 hours as an experimental flight test pilot helped prepare him for the new job. May did not dispute that the piston end of general aviation has seen comparatively little in the way of innovation in recent decades. That was not the case during the piston heyday of Cessna Aircraft and Beechcraft, the two brands under May's leadership that have logged nearly 170 years of continuous operation between them (Cessna closed for two years during the Great Depression). GA’s prime is not far removed in time from the last major overhaul of FAR Part 23. The coming overhaul remains a work in progress and May said the outcome of that effort will do much to shape the future of both brands, along with the rest of GA. He said there is potential to restart the innovation engine in the piston space. “It can provide a catalyst that, as you say, we haven’t seen for a while,” May said. Relaxing certification requirements, a move supported by advocates including AOPA, could provide “twice the safety at half the cost,” but details remain to be finalized. With those details still unknown, May did not venture any predictions about where, exactly, the path of innovation would lead. He said the company remains committed to diesel technology, and he’s personally intrigued by other fuel alternatives, though confident that an unleaded avgas able to power piston engines old and new will be available eventually. May said his top priority is to take the blended fleet of Cessna and Beechcraft pistons and “move that product line forward,” though he declined to get specific about new models that may or may not be in development. He said Textron views the piston market, and its emerging and potential technologies, through a "wide lens." “The benefit of a globally based organization like Textron … is that our focus isn’t narrowly aligned with any particular segment,” May said. The aviation industry has posted increases in shipments and billing in recent years including 2014, though recovery in the piston sector has lagged. Analysts note that business jets account for a larger share of the pie than ever, and research and development spending has generally followed. Skycatcher, Cessna’s entry into the light sport aircraft market, had a brief and disappointing life. The program was finally declared dead by Cessna CEO Scott Ernest in February 2014 after nearly a third of the production run went unsold. May did not promise that the Skycatcher would be the last model discontinued (responding to that question by stating that the focus will remain on doing what’s best for customers), though current owners need not worry about future factory support: “Textron Aviation will continue to support the products that we have in play,” May said. Cessna's first production diesel, the 182 JT-A ($515,000), has had its own issues, with a hoped-for certification date in 2014 now past, and no clear indication of when the 182 JT-A will be delivered at last. May said he had no update to offer. The Skyhawk JT-A, announced in July and paired with a 155-horsepower Continental CD-155 (the 182 JT-A has been matched with an SMA powerplant rated at 227 hp) has entered service in Europe, though FAA certification of the 172 JT-A remains “pending,” May said. He said customers have been eager to get their hands on the technology, though demand will be more significant overseas. “There is a significant amount of conversation and interest level … that does vary geographically,” May said. Without naming specific countries, he referenced a reporter’s observation that customers in countries where the price gap between avgas and Jet A is significantly wider than in the United States will be the most eager, willing, and able to pay a price premium for a compression ignition engine. There is “still, overall globally, a significant amount of interest” in diesel aircraft power, May said. May said aircraft buyers will have much to say about what, exactly, the future innovation looks like. "We’ll continue to listen to what our customers want and need,” May said, noting that he looks forward to those conversations. Another priority, May said, is growing that community, both domestically and abroad, and growing the Cessna Pilot Center network. “We’ll focus on increasing that and continuing to seed the market with aviation enthusiasts like yourself and me,” May said. May flew as a test pilot for Kohlman Systems Research and Bombardier Learjet before joining Cessna in 2006, the company reported in its announcement of his promotion. May worked his way through those ranks, serving most recently as director of engineering flight test and experimental operations for all Cessna and Beechcraft products. May earned a bachelor’s degree in aerospace engineering from the University of Kansas, is an associate fellow of the Society of Experimental Test Pilots, and holds an airline transport pilot certificate with type ratings in eight models, including four Cessna Citation aircraft. May said he learned to fly in a Cessna 152. “Before I could walk or talk, I wanted to fly,” May said.